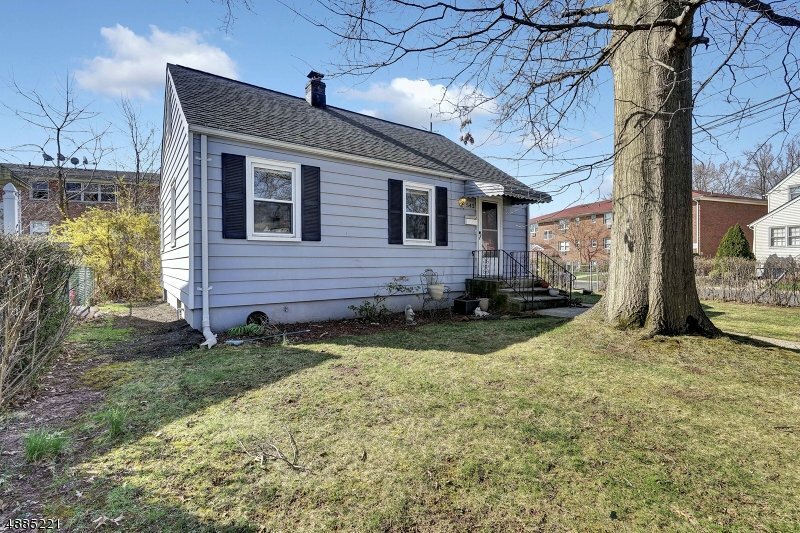 This 3 Bed 1 Bath Cape in thriving Roselle Park is sure to please! Move-in-Ready & situated on a corner lot, step in to find beautiful HW flooring that extends throughout the main lvl. Spacious, light & bright LR gives way to the sizable kitchen. The kitchen offers tiled backsplash, ceramic flooring, custom counters & wealth of cabinetry! Down the hall, find 2 generously sized BRs w/ great closet storage! Full bath completes the main lvl. Finished attic boasts a 3rd, expansive & secluded Bedroom, w/plush carpeting throughout. Finished basement holds a Family Rm for endless activities, laundry facilities & extra storage! Updated HWH & Furnace, too! Outdoor entertaining made easy w/a patio, yard & detached garage. Great location- close to GSP, public transit, shopping, restaurants & more! Come see for yourself!